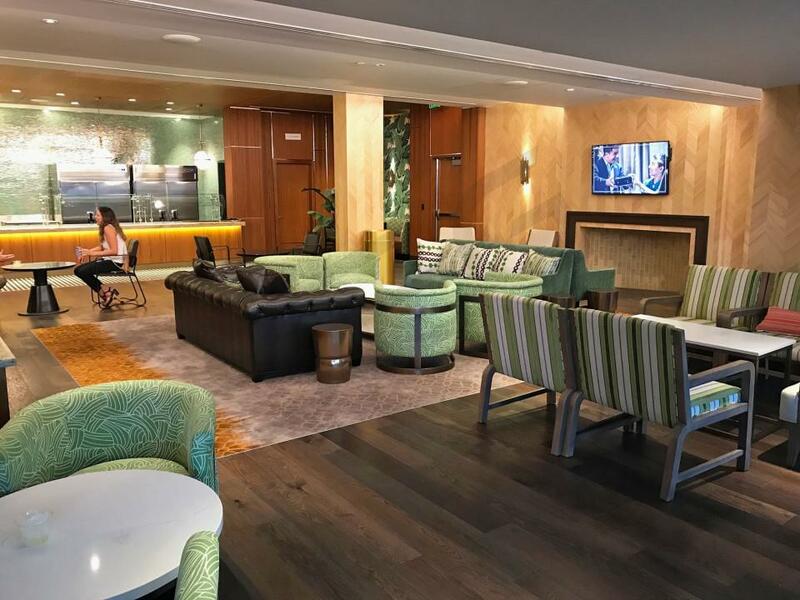 How much do Super Bowl LIV suites cost? Super Bowl LIV suites at Hard Rock Stadium are expected to range in price from $250,000-$750,000. Suites for the 2020 Super Bowl can be purchased well in advance of the playoffs. The best located suites will sell first. 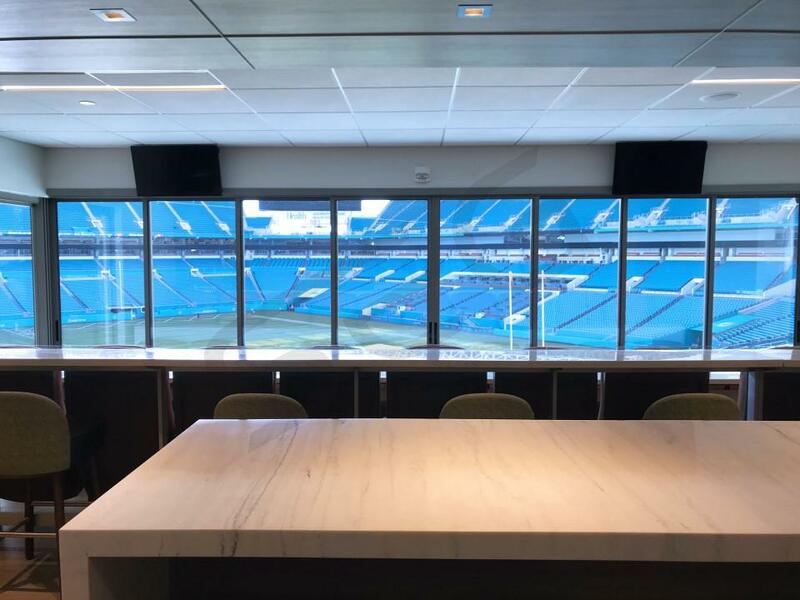 Suite Experience Group suggests booking your luxury box early to secure the best value for Super Bowl LIV. 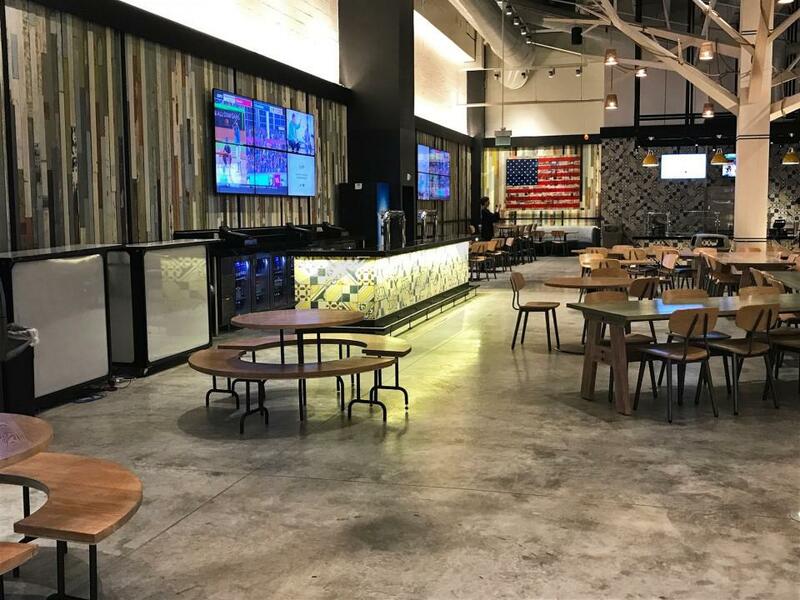 Hard Rock Stadium suites for the Super Bowl come inclusive of food and beverages. A Signature Sideline suite will include 20 suite tickets with an option to purchase additional tickets. 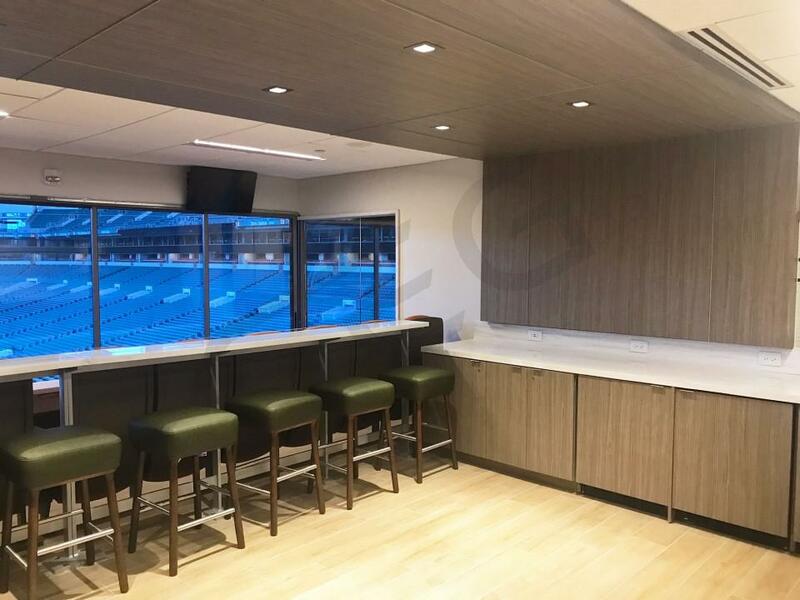 Signature Sidelines suites were renovated in 2017 and now feature updated furnishings, 3 HDTV's, 2 refrigerators, an ice maker, and luxurious interior/exterior seating. Guests will have exclusive access to the Club Level. 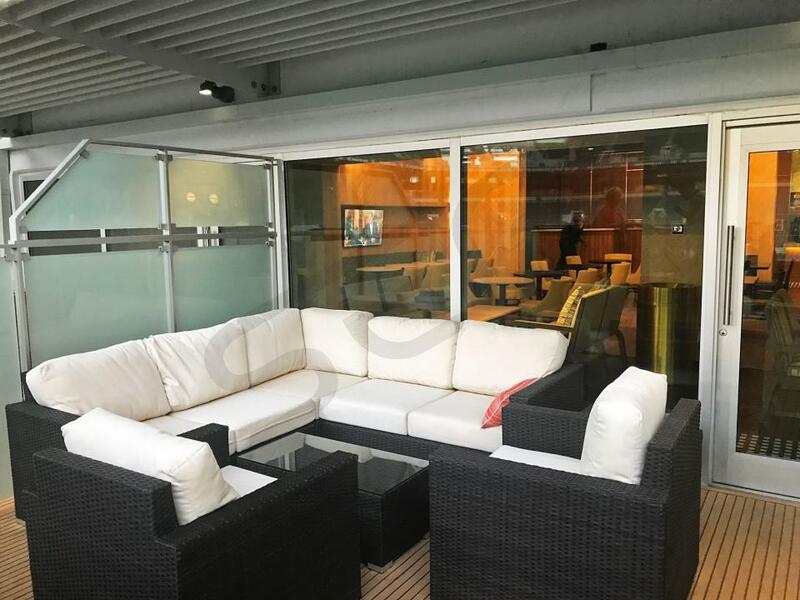 Mezzanine Suites are located on the higher of the two main suite levels at Hard Rock Stadium. Mezzanine suites are smaller in square footage, comfortably accommodating groups of 14-18. 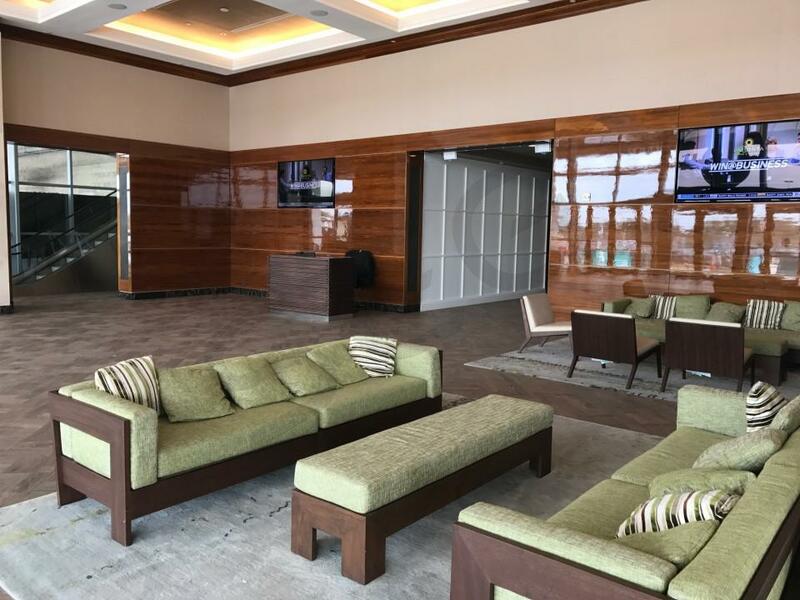 Mezzanine Suites were recently renovated in 2017 and feature a new seats, granite counter tops, tile floors, and 3 HDTV's. Mezzanine Suites have two rows of interior fixed seating behind retractable glass windows. Red Zone suites occupy portions of both main suite levels and are located behind each end zone. Red Zone suites were all recently renovated to include new seats, granite counter tops, and tile floors along with new HDTV's, USB charging docks, and electronic ordering tablets. Red Zone luxury boxes will include VIP parking passes, premium in-suite catering options, club access, and private entry into the stadium. Red Zone suites can accommodate groups up to 26. The Nine Suites are the most exclusive private suite option at Hard Rock Stadium. These suites are located at mid-field in the lower bowl. Nine suite guests will have access to a private shared club just behind the suite. The Nine come inclusive of food and beverage and comfortably accommodate 20 guests per suite. 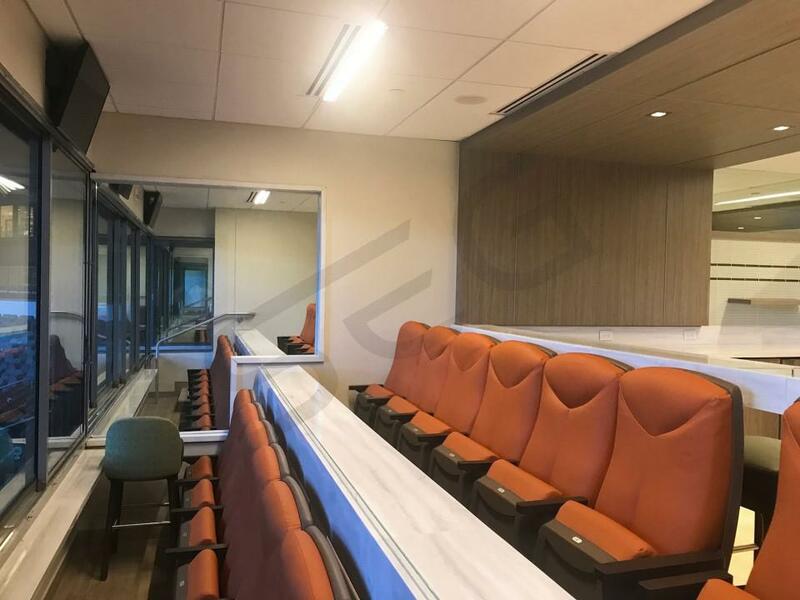 Suite Experience Group helps clients to organize corporate and personal events in private luxury boxes at Hard Rock Stadium. 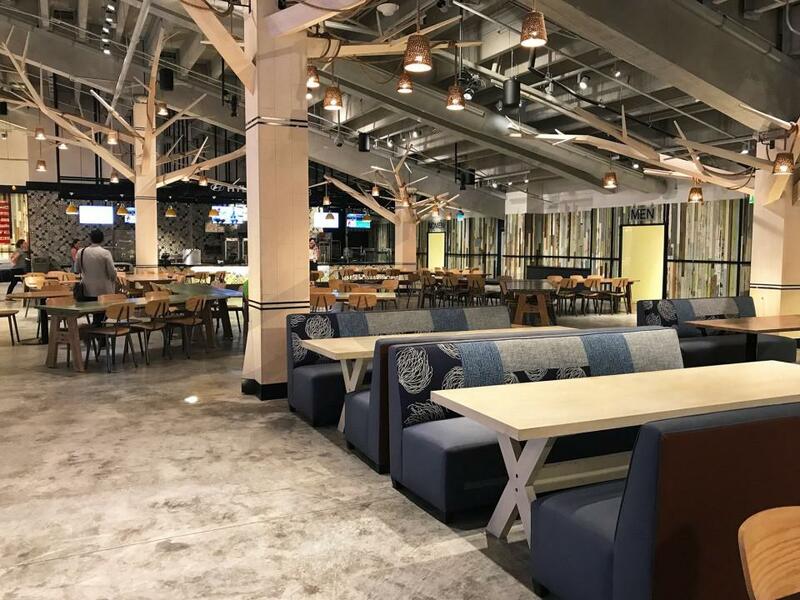 Below you will find key details to consider when planning your group event at Hard Rock Stadium. 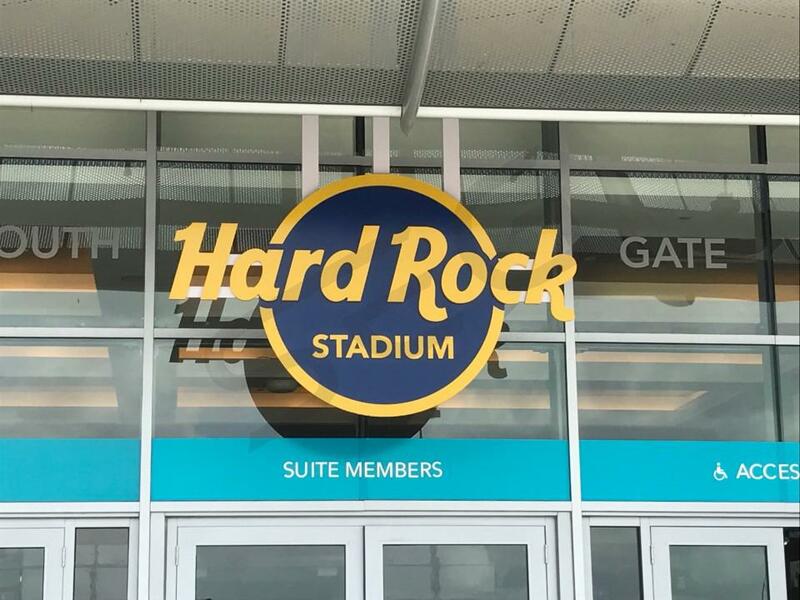 Hard Rock Stadium features two main suite levels; the Signature Sideline suite level and the Mezzanine suite level. 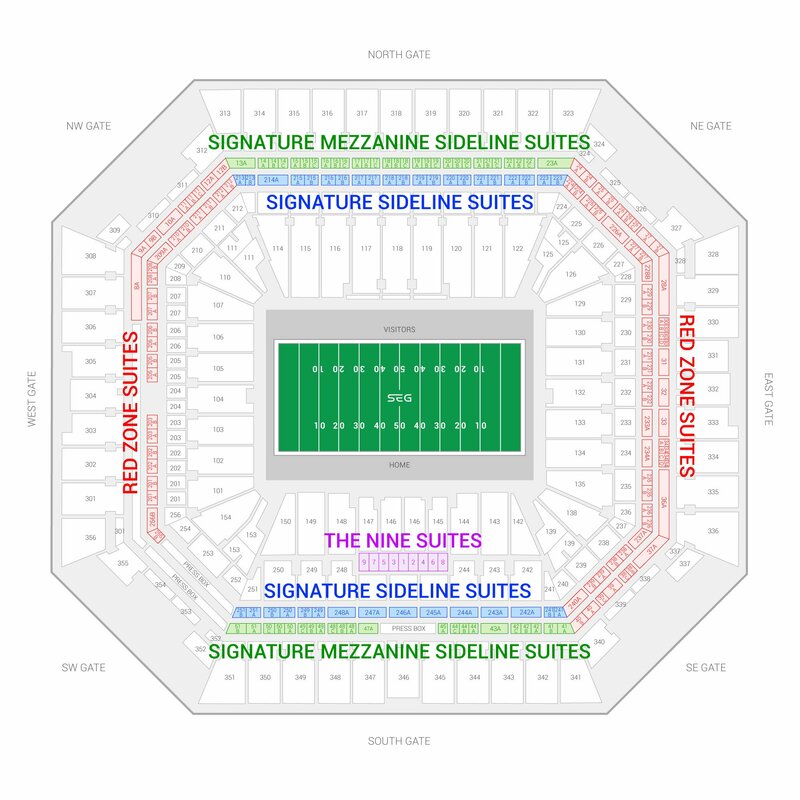 The levels are stacked directly on top of one another; the lower level consists of Signature Sideline suites that can accommode groups up to 26 guests, while the upper suite level consists of Signature Mezzanine Suites that are slightly smaller in size, accommodating groups of 14-18 guests. Red Zone suites occupy portions of both suite levels and are located behind each end zone; these suites can also accomodate up to 26 guests. 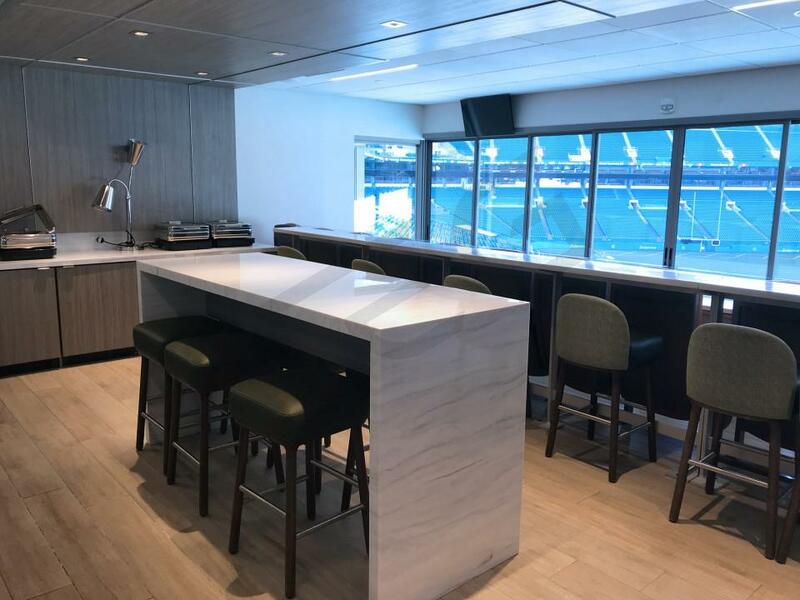 The most exclusive suite option at Hard Rock Stadium will be The Nine suites; Each of The Nine suites, located right above the lower bowl at mid-field, can comfortably accommodate 16-20 guests. Stadium renovations in 2017 also added more premium spaces for smaller groups. The Atos Club and Ford Field Club consist of 14 four-person loge boxes with recliner seats located on field level behind each end zone. On the Mezzanine Level, Theatre Boxes were added on the four end zone corners, providing a semi-private premium experience for groups numbering 4 to 8. For extra large groups (30+), the LIFEWTR and LIV lounges located behind each end zone provide a unique shared premium experience. 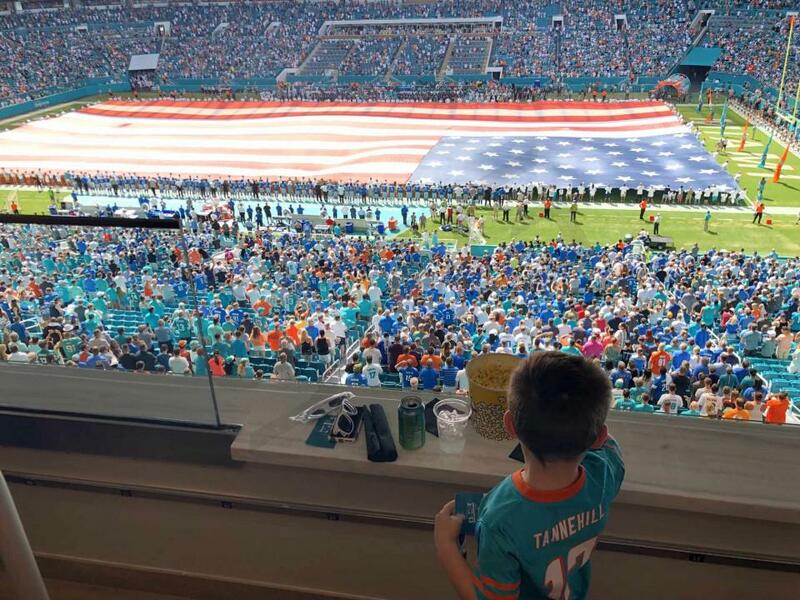 The price range for private luxury boxes at Hard Rock Stadium varies depending on the event, suite location, and suite capacity. 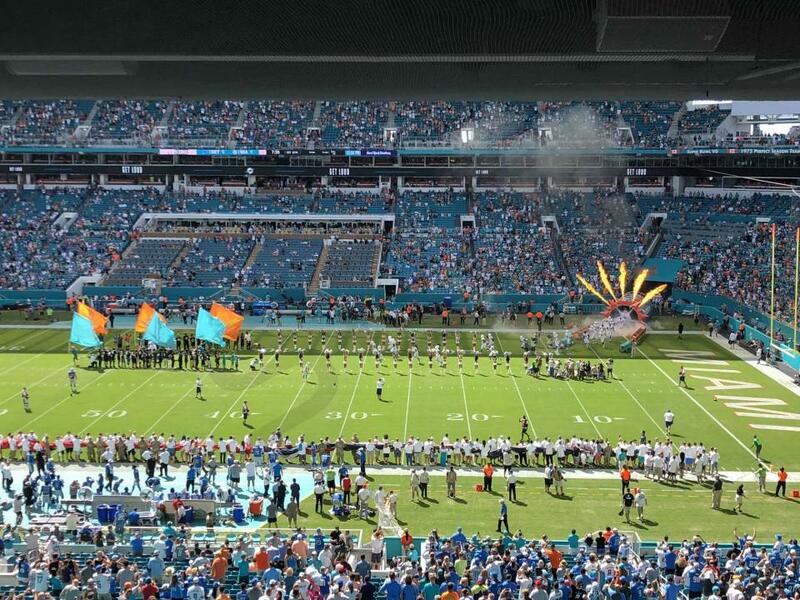 Dolphins games typically range in price from $15,000-$50,000, while major events like the Orange Bowl can cost $45,000 and up. 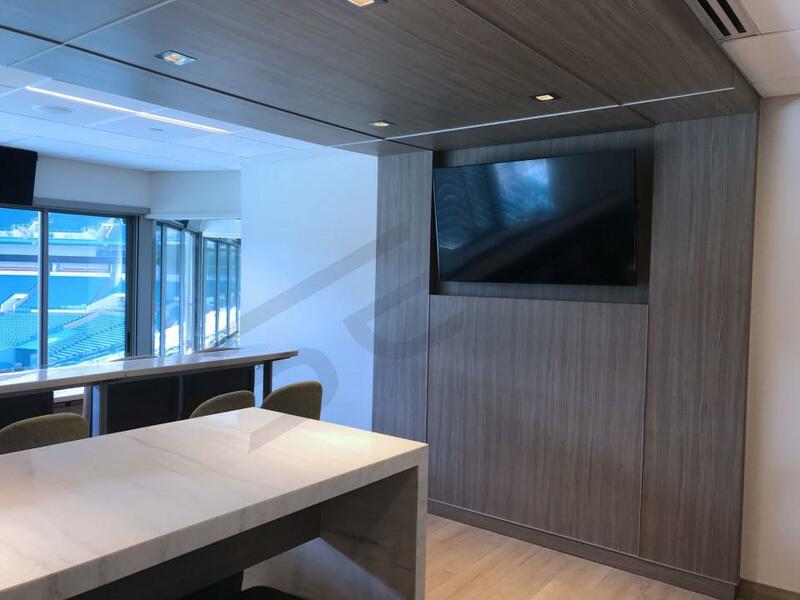 Suites for the University of Miami football games will be considerably less expensive, generally ranging from $7,000-$15,000. 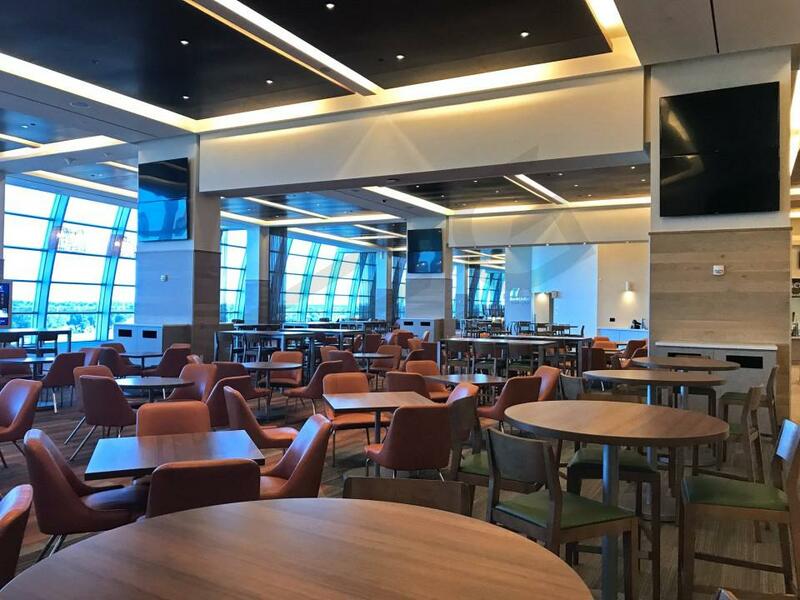 Prices for private suites at Super Bowl LIV will be in excess of $200,0000. 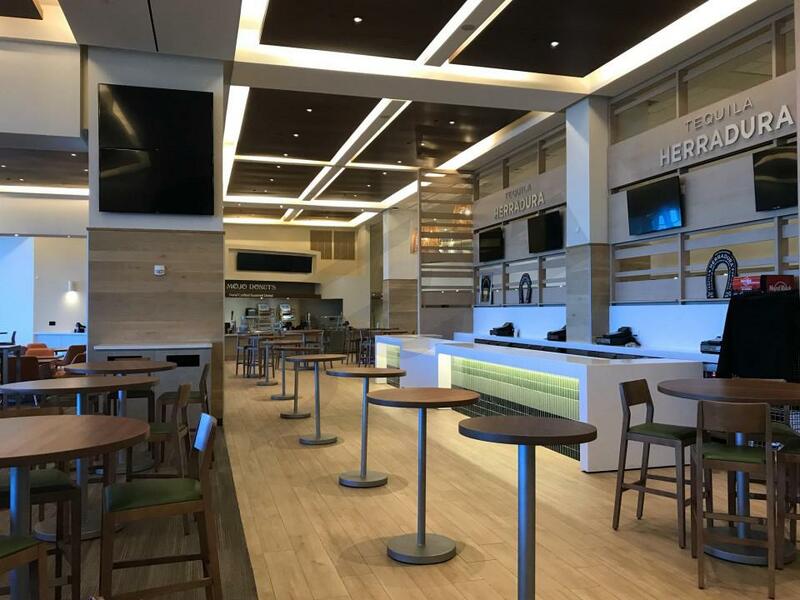 All suites at Hard Rock Stadium have the option to purchase premium in-suite catering. 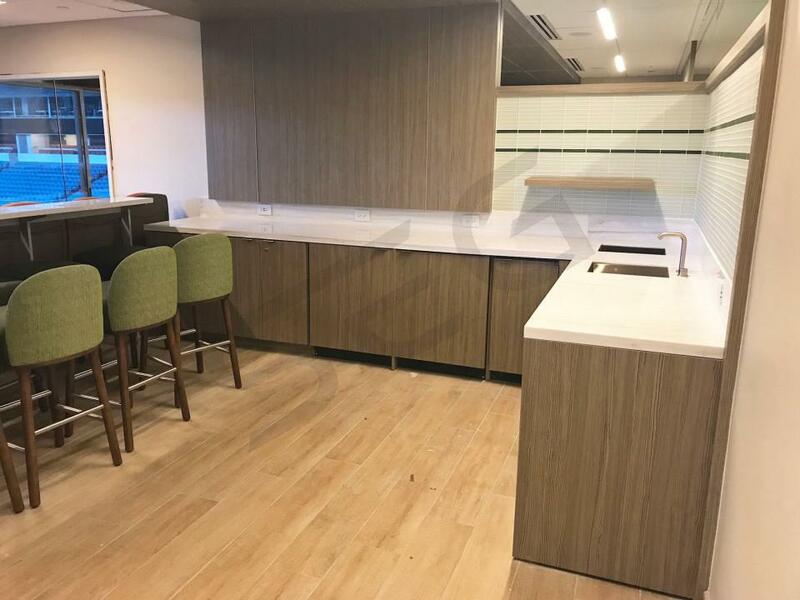 Suite catering at Hard Rock Stadium is provided by Centerplate. Guests can choose from popular packages (both food and beverage) or order a la carte. Pre-orders are generally placed 5 business days before the event. Alternatively, every suite will be serviced by a suite attendant who can take food and beverage orders throughout the game. Centerplate issues a unique suites catering menu every season. 72 Club: This club is available to select ticketholders (regular seats or Living Room Box seats) located in the lower bowl. 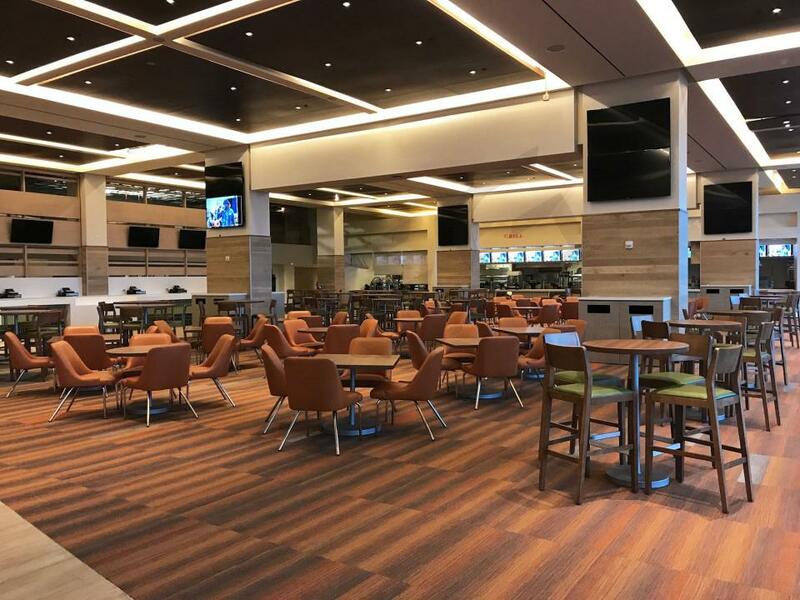 Ticketholders with 72 Club access will have all-inclusive food and beverage in a shared club space in addition to complimentary in-seat service. The sideline seats for 72 club ticketholders are extra wide featuring more legroom. Atos Club: Available to field level loge box ticketholders in the East end zone. This is an all-inclusive lounge area shared by all 14 East end zone loges. The Atos Club also provides access to the players tunnel. Ford Field Club: The Ford Field Club is the West end zone's counterpart to the Atos Club. The Ford Field Club is also an all-inclusive private club area providing access to the players tunnel. Hyundai Club: Private club area available to select Hyundai Club ticketholders who will also have an extra-wide (and padded) seats on the sideline in the lower bowl. The Hyundai Club features a massive bar and upscale buffet station. The Hyundai Club also provides complimentary in-suite service. Patrons in luxury suites will be wearing a variety of clothing from jerseys and casual attire to business professional attire. There is no right or wrong answer for suite attire, so dress as you please. Most private luxury suites at Hard Rock Stadium will come with an allotment of VIP parking passes near stadium entrances. The parking lots at Hard Rock Stadium were redesigned in 2017 to minimize congestion. Parking lots will open 4 hours prior to the start of Dolphins games. VIP parking passes will generally be valid in the Black and Maroon lots. For guests using ride-sharing to get to the stadium, there is a pick-up and drop-off point located at Gate 4. Children under the age of 2 will not require a ticket. Gates at Hard Rock Stadium will open 2 hours prior to Miami Dolphins games and 90 minutes prior to Miami Hurricanes games. Parking lots will open 4 hours prior to the game. All Suite Tickets will include entrance into the suite area for at least 90 minutes before the game and up to one hour after the game. 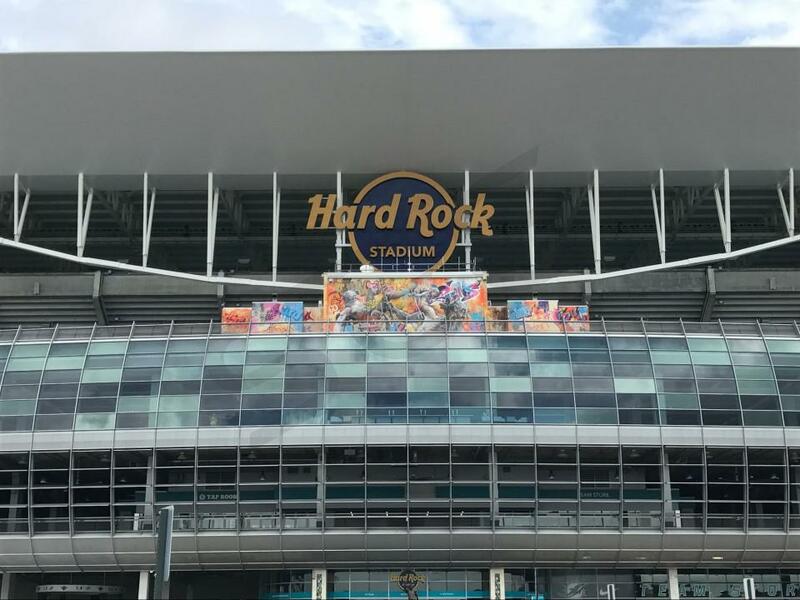 All fans entering Hard Rock Stadium will go through a metal detector screening, The NFL has implemented a policy that patrons must bring all their items in bags that are clear plastic, vinyl or PVC that does not exceed 12" x 6" x 12." 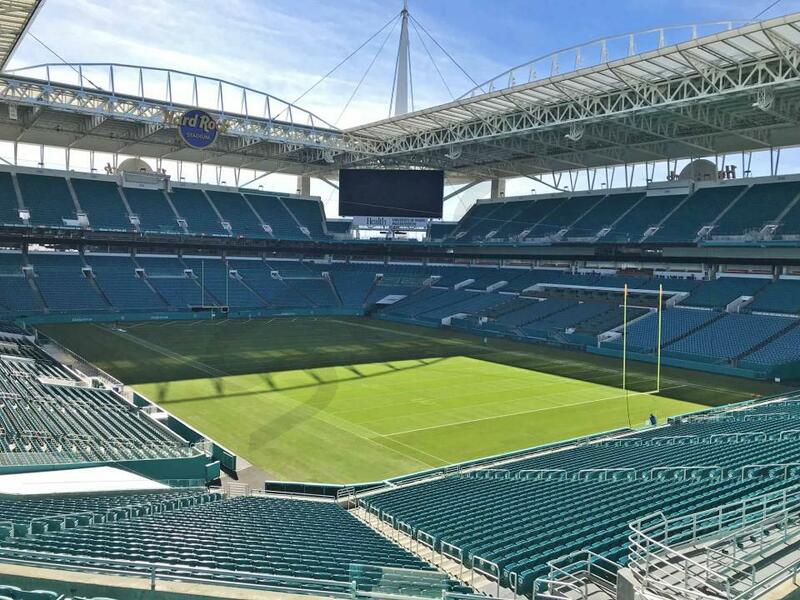 Super Bowl LIV will take place on February 2nd, 2020 at Hard Rock Stadium in Miami Gardens, Florida. The 2020 NFL playoffs will determine the best teams from the NFC and AFC to face off in Miami on the first Sunday of February. Super Bowl 54 will be the first time Miami has hosted the NFL’s biggest game since Super Bowl XLIV in 2010. 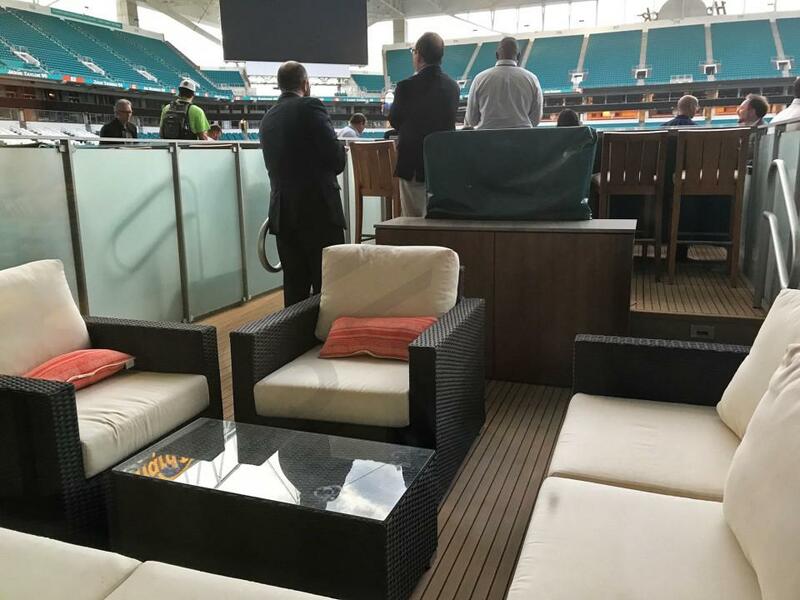 Hard Rock Stadium has recently undergone extensive renovations to their suites and premium spaces. Come 2020, the stadium will be well equipped to provide a fantastic premium experience for fans at Super Bowl LIV. All private luxury boxes for the Super Bowl will come full catered. Prices for fully private luxury boxes at the 2020 Super Bowl are expected to range from $250,000-$750,000. The Nine Suites, located at mid-field just above the lower bowl, will likely be the most expensive suites. The Nine Suites feature an open air patio with lounge seating and cushioned stadium seats facing the field. Upscale food and beverage is served in the adjacent Nine Lounge shared by The Nine Suites ticketholders. Signature Sideline Suites will be the next most desirable box for Super Bowl LIV followed by Mezzanine Suites (one level above) and then Red Zone Suites located behind each end zone. On-field loge boxes and theatre boxes located on the Mezzanine suite level will be able to accommodate smaller groups of 4-8. On a per ticket basis, Super Bowl suite tickets typically range in price between $8,000-$13,000. Thank you for signing up for specials at Hard Rock Stadium. Enter your email address below to stay in touch. We'll sign you up for our newsletter, which will inform you of the latest inventory and events at Hard Rock Stadium. We promise we will never sell or distribute your information. The seating chart below shows where the Super Bowl LIV suites at Hard Rock Stadium are located.